I’m going to put this right up front so everyone know: You have to read The Last Kind Words before you read this book! Tom Piccirilli’s current work reads more like one long novel chopped into pieces. There is no easy access except at the beginning of the books. 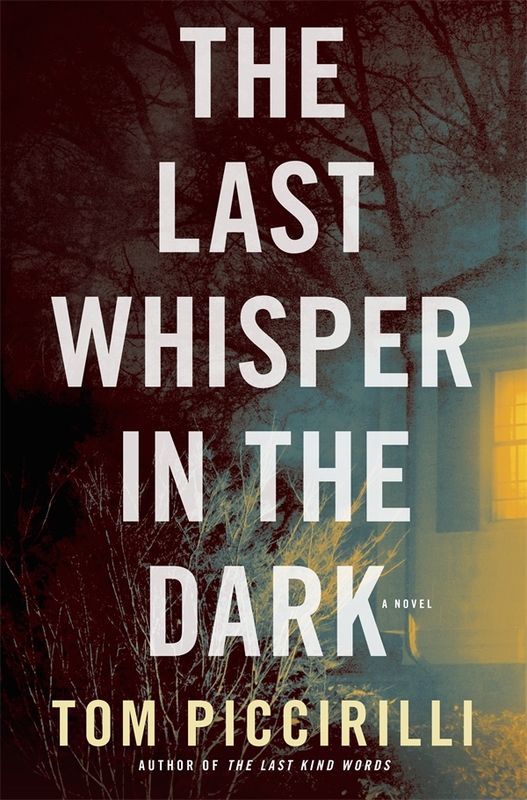 The Last Whisper In The Dark continues the story of Terrier Rand coming back to his family. I’m assuming this is the middle book of at least a trilogy, so it stands to reason that this novel regroups and spins out multiple storylines based on the preceding book. It definitely does that. Terry is taking on problems from all sides. There’s still the fallout from his brother Collie who turned into a spree killer, and added to the mix is his mother’s family, whom he had never had contact with, the fact that his uncle’s body is not buried far enough away, his father is dealing with the same dementia that has claimed Old Shep (Terry’s grandfather), his sister is involved with a semi-criminal enterprise that is going to get her twisted up with the law, and then there’s Chub, his ex-best friend who happens to be married to Terry’s old girlfriend that he’s still crushing on. This novel is bleaker and harder than its predecessor. I didn’t get many laughs through this one, an occasional turn of phrase or situation, but mostly I was brought down by everything Terry is dealing with. I think the family development is great and probably as true to life as it gets, but the Rand family must be related to Job with all the baggage they have to carry. It actually takes Piccirilli a while to get all the pieces put together, kind of like stacking all the Jenga pieces so the game can begin. But once the stack is made and you get down to the point where any piece can bring the whole thing down, everything goes really fast. You have to be on your toes to keep up with everything. This isn’t just a middle ground book that goes through the paces, though. Major characters die. Big life changes are made. Deep realizations shift the stakes constantly. There’s also a great cast of characters that get deepened as alliances are made over, threatened, or get ended. Piccirilli is mining deep emotional ground and readers need to be prepared for an onslaught of darkness. I don’t know where he’s getting this stuff, but I truly hope he’s making it up and not using biographical pieces. I’m hoping he’s got a third book in the works soon. Random House wants a new standalone novel, so for the foreseeable future, the series is in limbo. Look for BLUE AUTUMN sometime in the next 18-24 mos. This entry was posted on July 23, 2013 at 5:38 am and filed under Audiobook,Crime,Noir,series fiction,Suspense. You can follow any responses to this entry through the RSS feed. You can leave a response, or trackback from your own site.